For years, fans of the iPad mini have been waiting for the compact tablet to return. There were so many rumors about its upcoming presentation at the end of the month, that there was little doubt left. Today, the wait is over: the iPad Mini has not been officially announced, but it is available for sale on the Apple website, just like a new iPad Air. Apple is returning to its roots by reviving the Mini range and the Air range, which seemed to have been forgotten until recently. The new small iPad is modestly named the iPad Mini (without numbers) and costs a minimum of $399 for the 64GB version with Wi-Fi. If you want to enjoy a cellular LTE connection, you'd have to pay another $130. 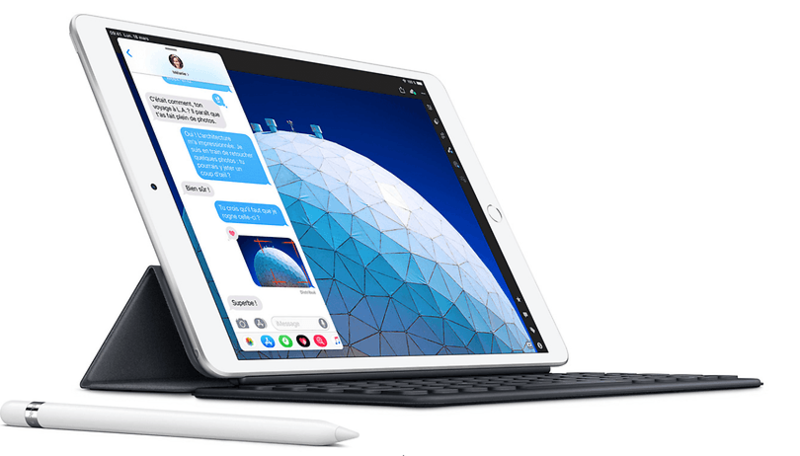 This is a fairly high price compared to the normal iPad, but the Mini sports the Bionic A12 chip, i. e. the same as that on the iPhone XS (for comparison, the classic 2018 iPad has an A10 chip) and a 7.9-inch Retina display with True Tone display. The iPad Mini also features a Full HD camera on the back and an HD one on the front. Apple also unveiled a new iPad Air on its website with the slogan "Power isn't just for the pros". It also has a Bionic A12 chip with Neural Engine, but it also has a Retina display (10.5 inches) with True Tone display. Finally, we should note that both devices are compatible with the Apple Pencil (Apple's pen). The iPad Air is also compatible with the Apple keyboard (Smart Keyboard). The company's CEO, Tim Cook (or Tim Apple if you want to talk like Mr. Trump) has already published a tweet showing off the compatibility with the stylus. What do you think of these new devices? Let us know in the comments below.